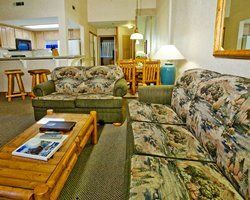 Nestled in the San Bernardino Mountains and only a two-hour drive from Los Angeles is the fabulous Big Bear Lake area. A wilderness playground both summer and winter, the lake and surrounding region is one of Southern California's best kept secrets. Among the best choices for accommodation is the contemporary-styled Lagonita Lodge Resort with its lakefront views and fantastic mountain scenery. 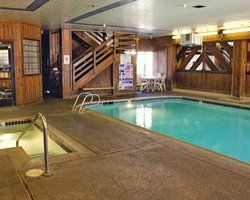 Whether you love swimming, boating, hiking, cross-country or downhill skiing, or just relaxing in the mountain air, the solitude of this resort is certain to refresh both the body and mind. Lagonita Lodge Resort boasts huge guest suites that have been tastefully decorated to exude a feeling of comfort and security. 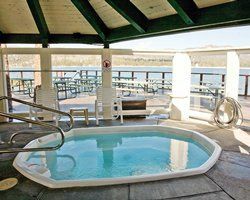 The units are one- and two-bedroom condo-style suites, and guests who rent or buy one of these Big Bear Lake timeshare resales enjoy all the amenities including the indoor and outdoor pools, spa, and family recreation programs overseen by the resort staff. The one-bedroom timeshare condos at the resort feature a queen or double bed plus a pull-out sleeper. The 2-bedroom condos have a smaller second bedroom furnished with a double or single bed. Some of these larger units are configured and furnished to sleep up to eight individuals. 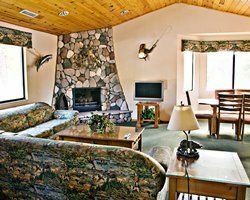 All of the timeshare suites come with a fireplace, complete kitchen with refrigerator and microwave, a TV with DVD player, and a private balcony or patio. The larger 2-bedroom condos also have two separate bath areas. Complimentary wireless Internet is also included. 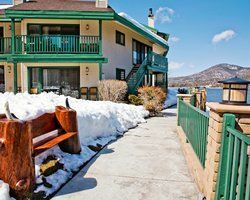 The Lagonita Lodge Resort is located right on the shores of Big Bear Lake, and guests are allowed to bring their own personal watercraft and use the available launch facilities. The resort staff organizes recreational activities for the whole family, and these include exercise workouts, hikes along the nearby trails, and even boating excursions. The reception desk is open 24 hours a day to fulfill the needs of guests. The indoor heated pool and spa area is a popular place to relax. The outdoor pool is also heated and is open year-round except during periods of icy, snowy weather. 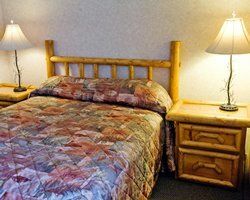 Nearby attractions include ski areas, nature trails, and souvenir gift shops selling handmade crafts. 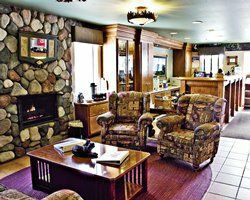 By buying Big Bear Lake timeshare resales, guests can secure guaranteed vacations at today’s discounted prices. Contact Lagonita Lodge Resort Specialist Today!